One strategy for making your department’s budget go farther is to put that extra equipment on the market: The trick is figuring out which selling strategy will get you the best price and involves the least amount of hassle. For Middletown, Ohio, online auctions proved to be the way to go. The town made $1 million in revenue from the sale of surplus items after it began using the GovDeals Inc. auction site in 2005. Local police cars, as well as confiscated and recovered items have gone up for sale. Other vehicles, as well as bicycles, have also sold very well, she said. Beyond the increase in revenue, Strayer found other benefits to using an online auction. Joe Donlon of Standard Equipment in Chicago, Ill., knows that whether you’re looking to trade in a used item in order to purchase new equipment or looking to spend less money by buying used or re-built equipment, the process isn’t always a piece of cake. Strayer said that storing the unneeded items long term created a space problem for Middletown. In the past, a significant amount of time was also invested in getting the items ready for auction, transporting them to the auction site and actually holding the auction. “Now, we send the items to the auction block as soon as they are deemed no longer needed for public purposes,” she noted. The global, online company Vocon Auctions also handles the auctioning of light and heavy municipal equipment in both live and virtual formats. “An auction is a good way to turn idle, surplus assets into revenue for a municipality,” said Jared Modlin, national account manager for VOCON. Modlin’s recommendation is to make sure you know exactly what the auction company is offering and who its target audience is prior to doing business with it. 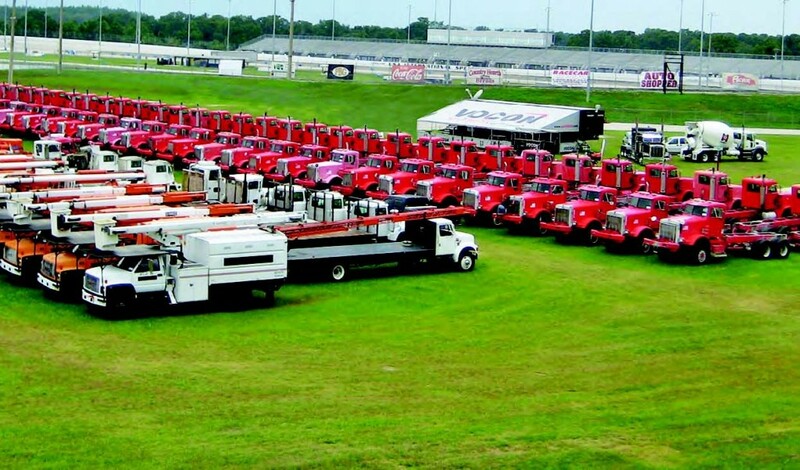 “Although the larger, nationwide auction companies usually charge a higher commission percentage for selling equipment, the return on your surplus assets is much higher due to the fact that the larger companies market to a larger audience and bring a worldwide audience of buyers to your equipment,” he said. Strayer’s view is that although it takes some work on the part of the city’s point person to put an item up for online auctioning, the initiative has been worth it. “Revenue is much higher through GovDeals than it was at our previous on-site auctions and is available immediately. We are clearing unwanted and no longer needed property out instead of warehousing items,” she said. The amount of time that Middletown staffers spend on the disposal of surplus property has also been reduced. Thanks for the information about police auctions very helpful.